Twist your brain into unlikely shapes as you dare to engage the Mind Wall in battle. Will you be the first to work your way through its labyrinth of pain, and at what price, your SANITY?! 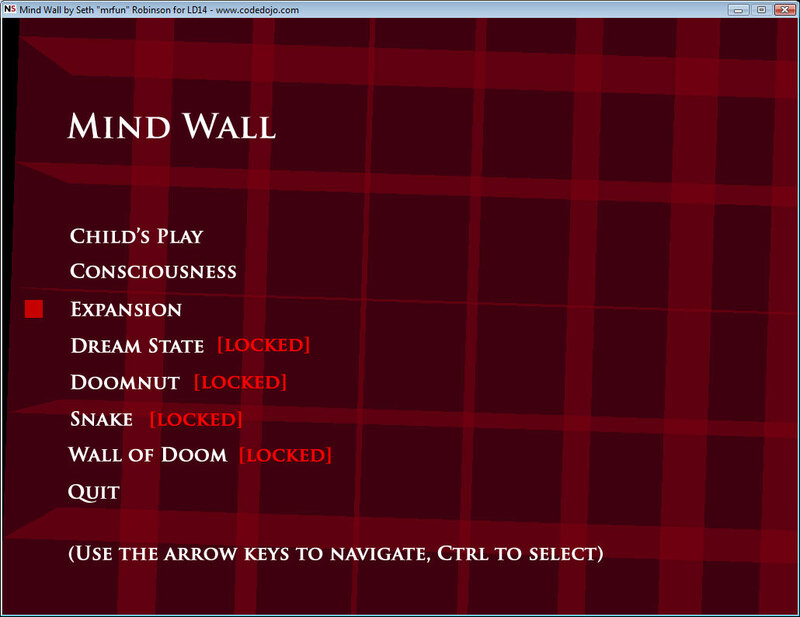 Yes, this is my Ludum Dare 48 hour game entry: Mind Wall! No two games are alike in this easy to learn and strangely harmonious and gripping experience. No matter how impossible a level looks, I guarantee you there is ALWAYS a solution. You can use Alt-Enter (Command-F on the mac) to toggle windowed/fullscreen mode. 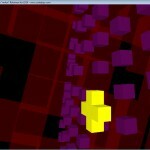 This entry was posted in Development/RTsoft, Novashell on April 20, 2009 by Seth. Great game. I would be kind of nice to see a solution after failing, because especially in the last level I wasn’t able to find them fast enough. And other times I found them straight off. 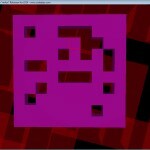 Pingback: Code Dojo » Blog Archive » Mind Wall wins the 14th LD48 Competition! cool but too easy. took me 2 tries on the last level. 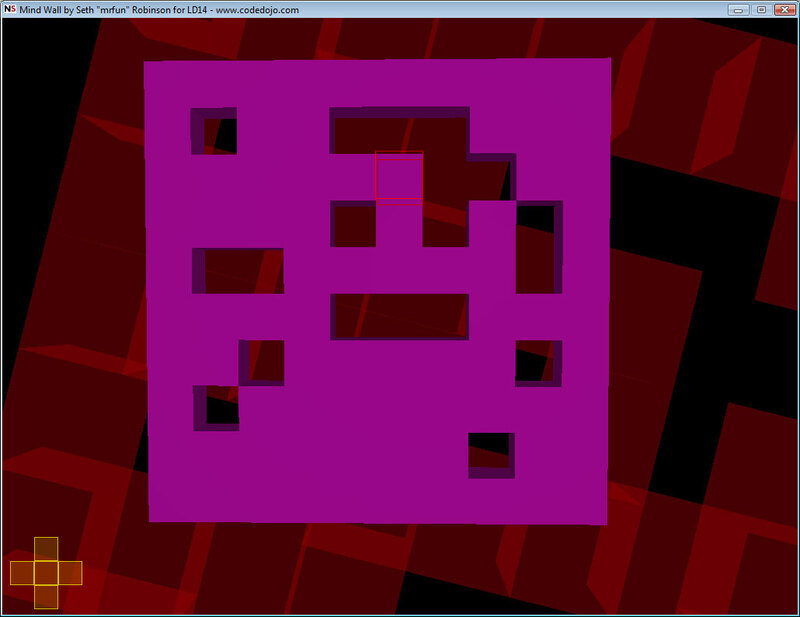 you should add really badass levels with weird shapes and stuff, that would make it really shine. I couldn’t get it to work, do you need to do anything special or have any special software to run it ??? This game is addictive. I have to believe that with some additional polish, you could charge $15-$20 for it. Great game! Finished all levels… and wondering when new ones will be available! Hey, Seth! This is John Pritchett, co-author of TradeWars. We chatted a few times before, about LORD, etc. I was looking through the IGF entries and spotted your game. Congrats! Email me if you’d like to catch up. Hey John! Good to hear from ya, I will drop you an email soon. TradeWars forever. You made this PC thing with your Novashell engine? Yep – I used Novashell as the base framework for Mind Wall and also Strong AI. Both were entries for the LD 48 hour competition. So where it gave me a real head start was by handling input, menus, audio, scripting, one button .zips for Mac and Win, and just being very familiar. Dave Burke from Hemisphere Games here — just dropping a note to say how much I enjoyed Mind Wall! Fantastic game, great sound design, awesome minimalism. 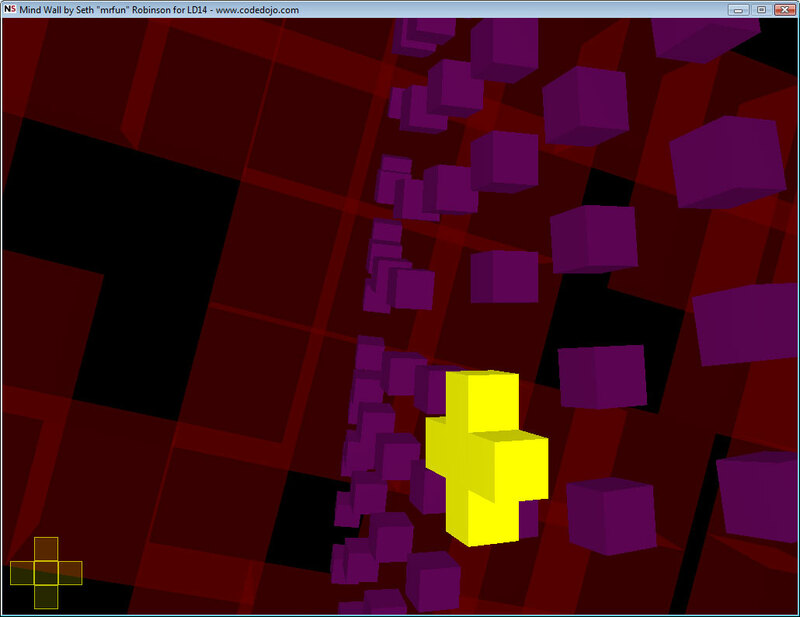 It’s like Blockout-meets-2001. Excellent job! Yeah.. the game is really amazing … I don’t know how you are getting new innovative ideas like this. Thank you…. Does not work for me. Screen output is turned by 180° (including mouse movements, very annoying) and then it ends in error. I am using Windows XP SP3. bafibo: There is a long standing bug in Clanlib (what the Win version of Mind Wall uses) with some specific Intel graphic chipsets that cause this. I keep hoping myself or one of the other developers will get/buy one so we can fix it but it just hasn’t happened yet, sorry for the hassle.